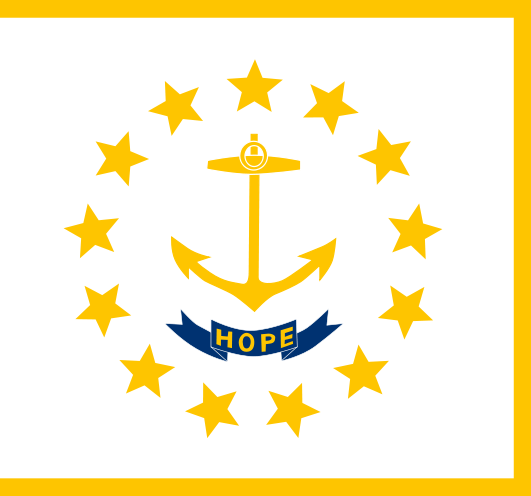 The Ocean State is the smallest state in the United States. Situated along the Atlantic Ocean’s coast, Rhode Island is home to one of the most common deciduous trees, the Red Maple, which is also known by the names Swamp, Water, and Soft Maple. Found throughout eastern North American, the Red Maple is relatively small, reaching only 49 feet at the height of maturity. 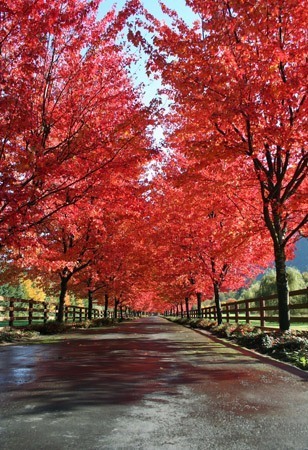 Most characteristics of the tree are red to varying degrees, from its flowers to its twigs. The distinct autumn throughout New England offers the Red Maple its opportunity to shine as the red foliage can dominate deciduous forests. The Rhode Island planter may well consider the Red Maple for planting in the yard; however, there are hundreds of other varieties of tree from which to choose. New developments throughout the United States mean more infrastructure, more people, and more invasion of privacy. The residents of Rhode Island have the option to plant and tend trees that produce privacy, turning away prying eyes and loud noises and instead enjoying the quiet and peace of private property. The Leyland Cypress is the perfect privacy tree for Rhode Island inhabitants. The Leyland Cypress grows quickly, adds distinct charm, and produces thick barriers between a private abode and unwanted chatter. Growing between 3 and 5 feet a year, the Leyland Cypress will give the Rhode Island yard the fast-growing privacy for which they have been searching. Alternatively, the Thuja Green Giant and American Holly will bring privacy, color, and solitude to the savvy planter’s yard. 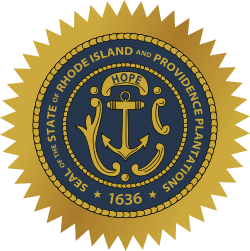 Despite its small size, Rhode Island sits amidst the transition zone between two distinct climates: humid subtropical and humid continental climates. Temperatures are moderated by the state’s proximity to the Atlantic Ocean, which tends to cool summer temperatures while warming winter ones. Even still, the record high temperature was recorded in 1975 at 104°F. The record low is more reasonable, standing at -23°F since 1996. Typically, temperatures linger in the low to mid80s in summer, and temperatures hover near 20°F in winter. Most trees require well-drained soil rich with minerals to grow. Fertile Narragansett soils cover 12,000 acres of the smallest state, assisting in the production of corn, hay, and vegetables. Regardless of the property’s location in The Ocean State, a soon-to-be tree planter can perform a simple test to determine his/her soil type. In Rhode Island it precipitates on average 116 days of the year, which is slightly above the United States average of 100 days. 46.8 inches of rain, on average, hit Rhode Island, and mild temperatures do nothing to diminish snowfall, which averages 33.7 inches annually across the state. Precipitation is moderately constant throughout the year, with large increases seen in the early spring, primarily March, with average monthly rainfall increases from a little over 3 inches to 5 inches. The best way to capitalize on heavy spring rains is through the judicious use of irrigation systems. Irrigation systems simply help to conserve and direct water use, benefiting both irrigation system owner and user. Drip or sprinkler irrigation systems can be beneficial at moderating water use, directing the low-pressure water to disperse at regular intervals. Newly planted trees benefit from irrigation systems, as the stress of transplantation can be detrimental to new growth. Despite being the smallest state in the nation, Rhode Island is home to four distinct growing zones. A growing zone simply refers to the USDA’s determination of areas where certain plants are most likely to thrive, preferring to focus on minimal temperature ranges in which a plant can survive. Closest to the ocean, especially those regions southeast of Portsmouth and Newark bordering Massachusetts, areas are warmest. Temperatures here do not often drop below 0°F. Moving northwest across the state, temperature ranges cool, and in the northwestern corner temperatures can drop to as low as -15°F for extended periods. Rhode Island’s small size assists in protecting in from severe weather systems, which by sheer probability do not often hit the state; regardless, tropical storms, such as hurricanes, and occasional tornadoes have hit the state, often causing severe damage in the second densest population state. Plant trees away from power lines and small buildings, and remember trees can protect against erosion. If you prefer to purchase your trees or shrubs in person instead of online, we offer this comprehensive guide to purchasing a tree at your local Rhode Island nursery or garden center. However, since we don’t actually live in Rhode Island we can’t guarantee this list to be 100% accurate – but we did attempt to be as accurate as we possibly could. We have no affiliation with any of the businesses listed below and make no guarantees as to the businesses’ ability or the quality of trees you will receive. As with any purchase you make, be sure to check out the business with the Better Business Bureau, references, and any other sources you may have.